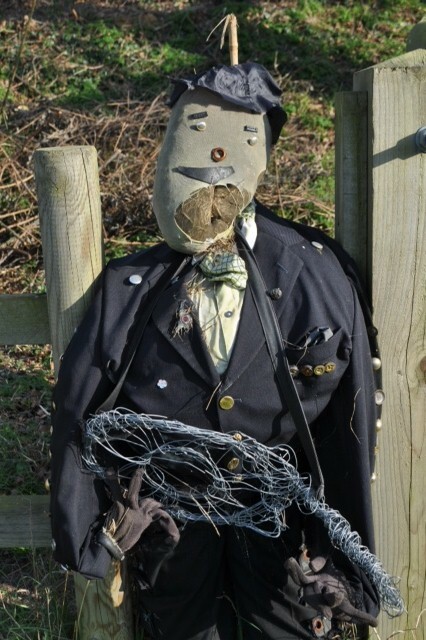 We made a discovery of some unusually flamboyant scarecrows in an allotment in Corpusty, North Norfolk. All are dressed in rather nice old suits, with shiny buttons and bottle-top badges. Every so often a new character appears, in this case a guitar-playing gentleman. to his songs of spring.